New enemies, swords and armor potions effects. 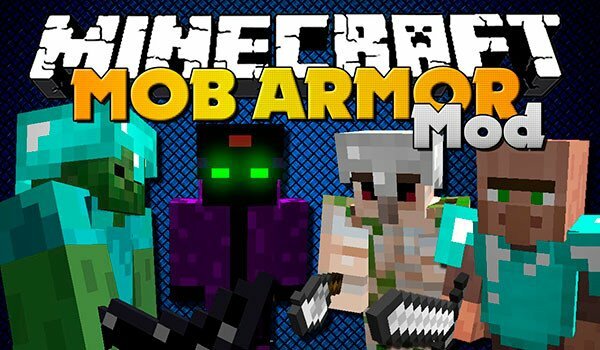 Mob Armor Mod 1.7.10 and 1.7.2 is a mod that takes care of adding new options to the battles in Minecaft, by adding 19 new armor and 18 new kinds of swords, some more powerful than predefined in the game and other less powerful. Both armor, swords how we bring potions to use effects. Each armor and weapon belonging to an enemy, animal or villager. Allowing obtain us to armor zombie, get your gun and night vision, the same for the rest of mobs. In addition to gear, this mod adds new mobs to the game. Specifically adds a figure of 23 new mobs, 4 of them are neutral, while the rest, 19, are hostile to our character. How to install Mob Armor Mod for Minecraft 1.7.10 and 1.7.2? Double-click the downloaded file to run the Forge. Now we can start the battle!